Insects, or actually the viruses and diseases they are carrying, can really hurt us, and our families. It’s becoming more and more common for humans to be infected by insects carrying viruses and diseases, and it’s especially mosquitoes and ticks that are responsible. 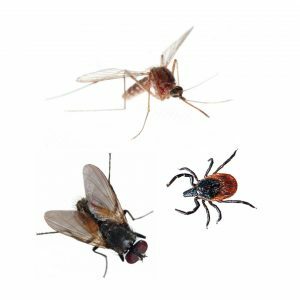 There are a number of ideas you can take to further help protect you and your family from bothersome insects and the dangerous viruses and diseases they carry. When outside wear light colored clothing. Mosquitoes are attracted to dark colors, dark blues and black. When needed where long sleeves and pants to minimize the uncovered areas of your body where insects might bite you. 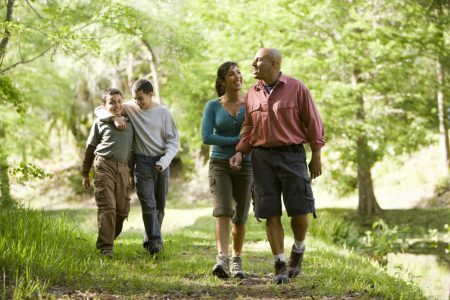 When in tick or chigger environments tuck your pants into your socks to minimize contact with these insects. Ticks are not known to jump or fly. Try to minimize any standing water around your home. Mosquitoes only require a small quantity of stagnant water to breed in. Make sure any unused buckets, flower pots, or anything else that will hold water are stored upside down. Where possible keep water in water garden features moving and things kiddy pools empty or covered. There are all natural products available to help control mosquito breeding in stagnant water. Birdbaths and animal water bowls should not be left unattended and should be wiped out every few days. Cover rain barrels and unclog gutters. Keep yards free of brush piles, wood piles, and tall brush. Ticks prefer to live in moist shaded areas under leaves and where they will be protected from the sun and wind. Ticks, can be, but are less likely to be found in sunny, well maintained grassy areas. You can create borders using stone, wood chops, and other landscape materials around areas of your yard where you live and play to help reduce the movement of ticks. Install and make sure window and door screens fit snuggly in your home and when traveling. There are both natural and synthetic alternatives available to help repel or kill bothersome insects in your lawn. Control the mouse population around your home and deer access to your property. Ticks are not borne with infectious diseases. Ticks first become infected from host populations of mice and deer. They then carry the diseases that can infect humans. When having outdoor events and parties use a combination of measures to protect your family. Combine; spraying the area to be used prior to the event with synthetic or natural controls, use mechanical and natural repellents in localized areas and use a personal repellent., to maximize your outdoor enjoyment. When outside wear light colored clothing. Mosquitoes are attracted to dark colors, dark blues and black. When needed wear long sleeves and pants to minimize the uncovered areas of your body where insects might bite you. BugMeNotSpray. 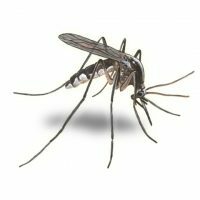 The best, safest insect repellent ever made – guaranteed! 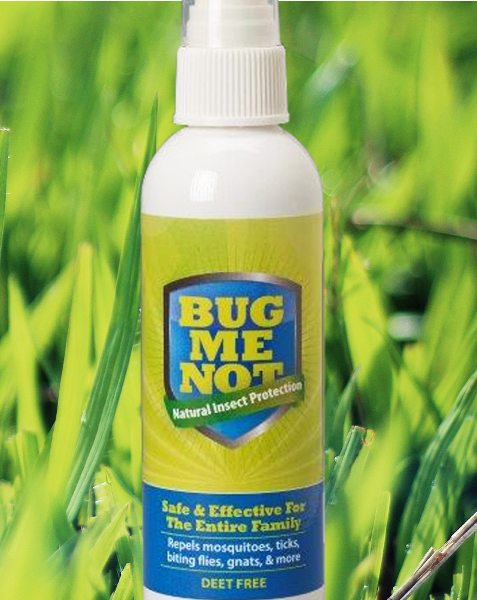 For personal protection against mosquitos, ticks and a dozen other insects, and safe for children, adults, and even dogs, there is nothing better than organic BugMeNotSpray. Guaranteed. If you are not fully satisfied for any reason, just return your unused BugMeNot to us within 30 days for a full refund of the product price. BugMeNotSpray is made from a special blend of powerful essential oils known to repel mosquitoes, ticks, biting flies, gnats, and other bothersome insects. The award winning Dynatrap Insect and Mosquito Trap traps and kills mosquitoes, moths, biting flies, wasps, and other flying insects without the use of pesticides or chemicals. 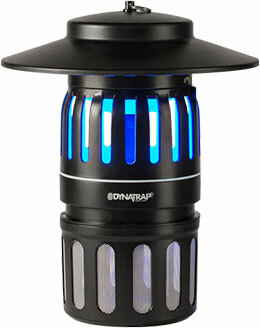 Safeguard your indoor and outdoor living space with the Dynatrap Insect and Mosquito Trap. Requires electric, uses UV bulb, and ultra quiet fan. For both small and large areas up to 1 acre. No electric. Requires butane. For smaller areas up to 15′ x 15′.